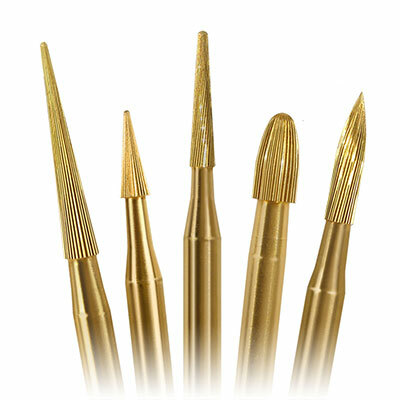 NeoBurr's gold-plated 30 blade carbides utilize precision engineered blades to achieve achieve vibration-free, an ultra-smooth finish. The blades as so sharp and precise, the machine used to make then is the same used to make the Rolox watch. Use light pressure. Each carbide is sterile and individually packaged 5 per pack.